My STEP Signature experience was an internship working with the state’s energy conservation and sustainability administrator at the Ohio Department of Rehabilitation and Correction this past summer as a sustainability intern. Some of my duties and main activities I do include utility data tracking, scheduling, attend meetings with institutions and various vendors, and participate in site visits. My department is staffed by one person so I do all the odds and ends type of work she needs to be completed. Working in corrections was a new experience for me, and I expected to feel challenged with my work and personal outlook. Before this summer, I have done some work with youth probate court and Children and Family Services. Being part of the corrections world first hand is a very new experience. Sustainability in prisons is relatively new, ever since my boss’s predecessor held the position around 2010. This experience has provided me with my first time going into a prison, interacting with correctional officers, interacting with inmates, and momentarily experiencing life on the inside. Learning more about Ohio’s rehabilitation efforts as well as those nationwide has also been eye opening. My favorite thing that I have learned is that sustainability is being used as a means of rehabilitation and positive influence to help people turn their lives in a more positive direction. I became interested in sustainability because I believe in its positive impact on human and societal health; to see that in action and being applied statewide has been a phenomenal experience. Another major part of my experience has been working for a state agency. ODRC has to comply with all rules of the state such as purchasing, chain of command, and various departments within DRC. Jumping through many hoops and following very specific rules makes it difficult to accomplish anything in a reasonable span of time. Though I have only been at ODRC for about 6 weeks, I have learned a tremendous amount making me excited for the future. Many specific events, interactions, relationships, and activities during my STEP Project thus far have led me to the change and transformation. From my wonderful boss to the office environment, to the many outside contracting companies to guards and inmates, my time at ODRC so far has been full of rich experiences. My first and main connection at ODRC is my boss, Leah Morgan. She is the only one in the sustainability department and leads with the title of energy conservation and sustainability administrator. Leah’s fearlessness, curiosity, and excitement and passion for learning has made her so successful thus far. From day one, she has pushed her hardest to give me the most valuable experience possible, and I am so very grateful for the opportunities she has given me. In the office environment, I have met many different people. I never knew how many different people worked at ODRC. I’ve met financial, construction, technology, training officers, and chiefs of departments. By working around and with so many different individuals, I have learned what it takes to keep our state institutions running. Inside the institutions, I have met many different correctional officers, captains, and specific inmates. So many of ODRC’s sustainability projects depend on an officer or institution employee to take on the project at their facility (i.e. : recycling). I have met many employees more than willing to dive in and make their program successful, making my boss’s job much easier and her goals more attainable. Meeting inmates has been the most unique experience so far this summer. I had no expectations going in but was given basic safety training. This experience has humanized inmates to me, even those with life sentences for very serious crimes. Working with inmates has proven to me even further the importance of rehabilitation and recidivism, and we are able to achieve that through using sustainability as a primary tool. Working in the correctional system is not something I ever anticipated or dreamed of when I was younger. As my graduation and entrance to the “real world” approaches, I’ve been forced to think about what matters to me and how I can be a part of solving that problem. My passion for sustainability stems from the interactions that human/societal health and environmental health have with one another. Working with inmates directly has been the most transformational portion of this experience because I can now see where this work will pay off. Ohio has much lower recidivism rates than the national average which can be partially attributed to the sustainability efforts in our 27 institutions. This impacts my future plans because it has fully restored my confidence that sustainability is going to be a key to our future whether it is applied to correctional institutions, public schools, hospitals, or integrated into all aspects of everyday life. This past summer, I moved to the remote Appalachian city of Johnstown, Pennsylvania to intern in the Research & Development department of a consulting company, Concurrent Technologies Corporation (CTC). My role as a Water Technology Intern at CTC was centered around enhancing and improving the desalination process by studying ways to mitigate energy requirements and prevent membrane fouling. During my 10-week internship, I worked with engineering mentors and management to design my own R&D project, test my prototype in a laboratory setting, and finally present my findings/white paper to a panel of executives at CTC. During my stay in PA, I lived in a single bedroom apartment just outside of the University of Pittsburgh- Johnstown location. It was the first time I had lived on my own, let alone in a state other than Ohio. 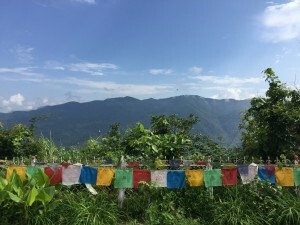 In a social sense, the experience allowed me to learn so much about myself; I was able to focus on my own personal interests and preferences, explore the local sites and mountainous parks, and I was forced to go outside my comfort zone in order to make relationships with those around me. I spent a weekend backpacking a portion of the Laurel Highlands trail, where my eyes were opened to the ancient natural beauty of the Appalachians and my passion for nature was fueled. I met my best friend at CTC, and now I will be a Bridesmaid at her wedding this upcoming August. We made a summer bucket list of all the hidden wonders of Johnstown and all the townee delights, such as the “best ice cream in America,” Kennywood’s famous cheese fries, and her dad’s smoked venison. We explored all the local coffee shops during our lunch breaks, and learned Belly dancing and Zumba in the evenings after work. I’m very lucky to have made so many lasting memories and quality friendships in Johnstown that I continue to maintain even six months later. In a professional sense, I feel as though my internship was one of the best experiences I’ve had thus far in my career. I was exposed to a plethora of engineering disciplines, including Mechanical, Chemical, Plastics, and Electrical Engineering. I was able to discuss the properties of Graphene with my Chemical Engineering mentor in order to brainstorm ways to enhance the strength of our desalination membranes. In addition to learning new disciplines, I was able to apply the theoretical knowledge that I’d been taught in Environmental/Civil Engineering at OSU to real-world scenarios and expand my skill set to include all of these disciplines. For example, I was able to apply my Statics and Strength of Materials knowledge to designing and building a sliding Aluminum target plate for a technology called electrospinning, which we experimented with in order to synthesize nanoporous membranes for the prototype system. The “hands-off” structure of the Research portion of my internship allowed me to shape my work ethic into a highly organized, self-motivated one. Another impressive benefit to CTC’s internship program was the technical aspect of the project–this included writing a lengthy, detailed white paper addressed to a real client, and a filmed 40-minute presentation to the CEO, CFO, VP, HR Director, and dozens of other Executives from the company, as well as all of the professionals we had interacted with during our time at CTC. Needless to say, my fear of public speaking had vanished quite quickly after being forced to present my findings to this quantity and caliber of professionals. All in all, the work I was involved with during my time at CTC allowed me to get a better understanding of what kind of work environment I wish to have when I graduate from OSU–one with positive energy among workers, project-based, and interdisciplinary freedom to keep things interesting and diverse. When I came back from Johnstown after my 10-week internship, I was absolutely a changed person. I was more confident, more knowledgeable, and generally a happier, more well-balanced person. My undergraduate research efforts and extracurriculars have been influenced by my internship experience too; I am now the Project Lead for a new Desalination Prototype Project in the club I’m involved in, Engineers for a Sustainable World. My research efforts have been propelled by my interests in desalination and materials science technologies and I am now a much better public speaker and technical communicator. I also am much more familiar and comfortable with an Engineering consulting firm’s environment as well as an R&D setting, which will aid me in the search for a full-time career in the field of Engineering–no matter if I end up in the public or private sector. Immersion into an entirely new city/work environment is something I believe everyone should experience at some point during their college experience or early on in their life. It allows you to learn so much about yourself, both in a social sense and in a professional sense. I would like to sincerely thank STEP for granting me with the funds to experience an internship in a location other than my own. Throughout this past summer, I spent my time in the bustling city of Kathmandu, Nepal. I lived with a Nepali host family while I interned at the city’s Teaching Hospital assisting Physical Therapists during the week. While I was there, I was taught how to properly stretch patients, document their exercises and correctly show them how to use equipment. Nepal, a small, third world country located between India and China, is home to Mount Everest and the Himalayan mountain range. I have heard of Nepal a few times before, but was unaware of exactly what I was getting myself into. The travel channels and textbooks explain to the best of their ability what it’s like to visit this country, yet nothing really prepared me for a journey like this. To have immersed myself in a country half way across the world where English is only spoken in some parts of the city, and not at all in the villages, was the first and biggest barrier. Hindi and Nepali both derive from Sanskrit, and most Nepali people understand Hindi. So having taken two semesters of Hindi at the time, I knew just enough to make my way around the city. It was a huge eye-opening experience to live in a third world country for two months, as one can imagine. I lived with a host family right in the middle of Kathmandu Valley. One of their daughters did not understand English, so it was quite difficult to communicate with her using my limited knowledge of Hindi and hand signals. For dinner, it was usually lentils and rice– a traditional Nepali dish. During my time there, I do not doubt that I ate more rice in the span of two months than in the last 21 cumulative years. The commute to work consisted of a walk of about 15 minutes through the city, passing one Hindu temple after another, all ranging from small and dainty to massive and ornate. I took a series of winding roads alongside buses, cars and motorbikes, which often weaved in and out, dodging city traffic. After arriving at the “bus” stop, a minivan pulled up, sometimes with the side door swung open, people holding on to anything they could grab as 10-15 people squeezed in for their daily commute. There were men that had sacks full of potatoes on their backs with straps wrapped around their head, women with children, school girls and medical students all packed like sardines in this small vehicle. The most interesting experience on the bus, though, was the sense of community between people despite their different walks of life. When a woman holding her child did not have room for the child to sit on her lap, a nearby woman sitting gladly cared for the baby until the mother had reached her stop. Moreover, anyone holding a bottle of water was subject to have it borrowed by another who needed to quench their thirst. Of course, the bottle was returned afterward, but for the time being my water bottle thus turned into community drinking water. At the hospital, a wide variety of patients were admitted: young and old, male and female, locals and foreigners, stroke patients to back aches. There, I learned how to properly stretch patients, conduct muscle stimulation, use a spinal and neck traction machine, and perform ultrasounds. Although, as stated before, the language barrier was a bit difficult, patients were more than happy to work with me and did their best to carry out their exercises. In America, there are different facilities for various branches of physical therapy and it was fascinating to see that this clinic accepted all conditions for a small fee. The patients came motivated to improve their strength and lead healthier lives and I everyday I came into work overwhelmed with joy, happy to be where I was. All of these experiences, and much more, truly opened my eyes to the different mindset of the Nepali people. They are caring, comical and extremely curious, especially when it comes to foreigners. In my time in the hospital, locals were constantly asking questions about my life in America. They wanted to know about my family, my job, if I went to school and if so, what I did. It was such a refreshing experience to have so many people who are genuinely interested in your life and where you came from. It also made me realize how in some aspects, their culture was extremely different from ours, yet no matter what they always attempted to make me feel welcomed and right at home. 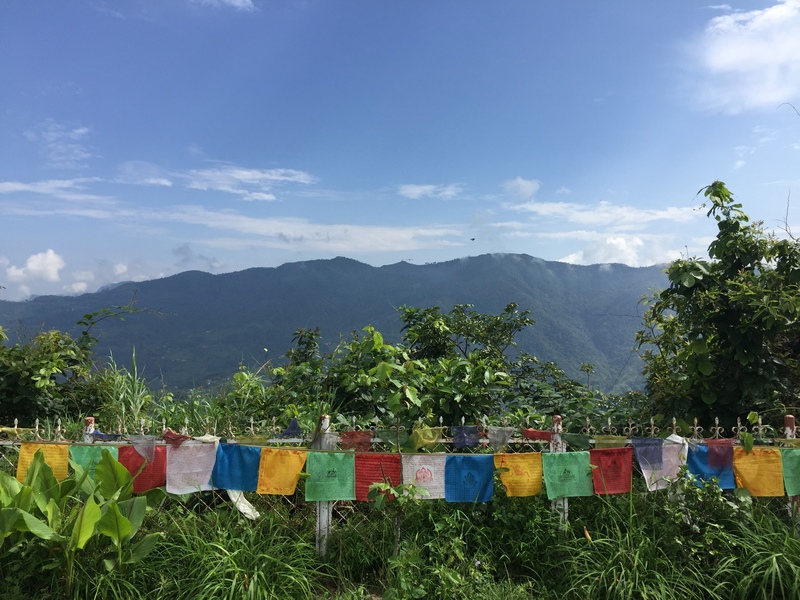 I experienced a once in a lifetime journey travelling through Nepal and working in a physical therapy clinic. I have met amazing people, received incredible opportunities and learned much more than I ever could have if I stayed in Ohio. 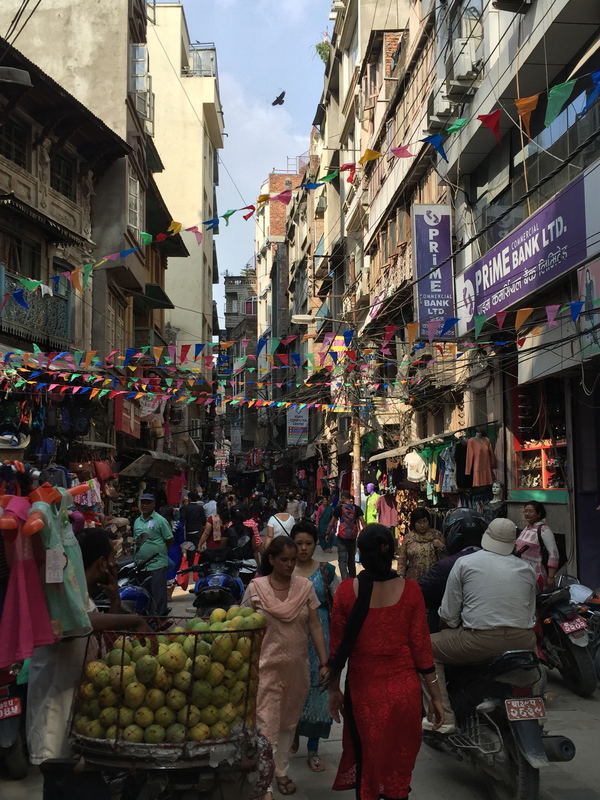 I left my comfort zone and tried new experiences that only Nepal could have offered. Learning so much in Teaching Hospital assisting physical therapists has solidified my decision to continue my path onto graduate school and pursue physical therapy. 1. Please provide a brief description of your STEP Signature Project. My STEP signature project took place in the form of an internship experience. This opportunity has developed into a starting point for my professional career. 2. What about your understanding of yourself, your assumptions, or your view of the world changed/transformed while completing your STEP Signature Project? Going into my first internship I was unsure of what to expect. At that point I was unsure of whether I wanted to continue in accounting. After my first stint as Messer intern I began to question if I was comfortable working secluded to a quite cubicle with limited interaction with others. This is how I assumed all accounting jobs were after the first part of my internship. After spending a summer with the Rental Division of Messer, I found a comfortable environment where I had freedom and had more opportunities for personal interaction. This project made me much more comfortable in my decision to major with a focus in accounting. 3. What events, interactions, relationships, or activities during your STEP Signature Project led to the change/transformation that you discussed in #2, and how did those affect you? One of the key aspects that led to a change in my outlook on my career path was the relationships I developed with my co-workers. There were two men that I worked with in the accounting department of the Rental Division. One them had just recently accepted a full time position and the other was the accounting manager. I found these two to be reliable options for anything I needed. They both made my transition seamless and provided me an excellent environment to learn. They were extremely fun people to be around and by the last month of summer we were meeting up 2 or 3 times a week at the YMCA to play basketball. This really helped in making me feel involved and comfortable at work. Spending time together outside of work, whether it be lunch or a pickup game of basketball, reminded me that everyone at work was just like me in a way. Being the only intern within a division could have made me feel isolated but getting closer with a few of my coworkers gave people who I could relate to. This change is significant as it has made me confident in my decision to major in Accounting. There was a period when I was considering switching majors but this experience has given me an optimistic view to my future. Most importantly this opportunity has helped me gain the opportunity to become a staff accountant immediately following graduation. (1.) The Second-year Transformational Experience Program provided me with an opportunity to remove myself from my own comfort zone and created memories that I will cherish for a very long time. Although half of my allocated budget went toward updating my business professional wardrobe for my internship at Kraft Foods Group, the other half of my money was where I was able to explore an area of interest and passion. Using half of my allocated budget, I was able to create a month long children’s choir at my church, Summit on 16th United Methodist Church, with anywhere from 5-12 kids joining me each week. I discussed high-level religion with these 4-12year olds, taught them how to worship through song and dance and got to discuss their lives with them on a week to week basis. Not only was I able to watch them grow up until their final performance on February 28th, 2016, but I, in turn, learned so much about myself. (2.) 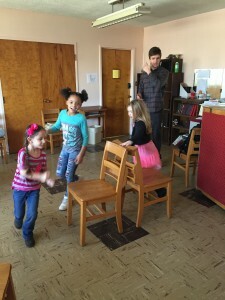 I have always been the kind of person who is confident enough in their intelligence and speaking abilities to “wing it.” However, after my first week of “winging it” to an extent, I realized that this practice was not going to be sustainable, as organizing children proved to be QUITE the hassle. The first day that we met, children were bouncing off the walls, not staying in their seats and making it very hard for me to capture their attention. This is when I realized that I needed a detailed plan for the next three weeks in order to ensure that I, as well as the children, were able to get something out of this. Over the next week, I composed a lesson plan which detailed exactly what I would be doing with the children, to the minute, over the hour and a half period. Starting with snack time to get the children in their seats, I then began tal king to them about their weeks and asking them how they experienced love in the previous week. I then would transition into a time of listening, followed by bible trivia, pending that everyone participated in the lesson. Finally, we would go into worship and end our sessions learning the two songs and dances that I and a close friend had developed for the final concert. It was amazing to see the positive difference between week 1 and week 2, and I taught myself the importance of preparation, ESPECIALLY when dealing with children. (3.) Starting that second week, I was able to begin gaining insight into the children’s lives and how they were feeling about their family, about God, and about themselves. We worked on focusing on loving others and ensuring that we were thanking the people who loved us and not taking anything for granted. I was absolutely astounded at how intelligent their little minds worked and how much active thought they had put toward thinking about who they were, what they wanted out of their lives, and how they were dealing with problems. 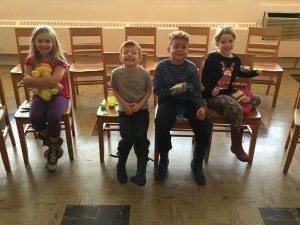 There was one particular instance where a little girl, no more than 8, spoke up about an issue that her family was having, but then launched into how she “prayed once” about the situation because she knew that “that’s what God would do.” On top of her comment being absolutely heart-wrenching, I realized that I was learning from these kids about myself and how I could interact effectively with them. There is certainly a balance of talking and listening that must be reached when dealing with little minds that are racing, full of thought. I will never forget these children and our time together and I still greet them when I see them at church or running around in their “Summit on 16th Children’s choir” shirts. I am so grateful that I had the opportunity to take advantage of such an incredible experience. (4.) The way I changed and learned throughout this process was very valuable. I learned how to get through to a child’s brain in ways I never had before, I learned how to address issues ahead of time rather than waiting for them to happen, and I learned when it was appropriate to be stern with a child and when it certainly wasn’t. This experience furthered my belief in the fact that it isn’t fair to judge someone right away, because everyone is ultimately going through something. The heavy, pressing issues, which these children were trapped in the middle of, made church almost an escape for them and I soon learned that it was an escape for me too. I did not succeed in our first meeting, but that motivated me to learn from my mistakes and, ultimately, thrive in the upcoming weeks when I got the opportunity to build upon what I had already created. I will never forget this experience and I genuinely believe that it gave me the opportunity to help others while also helping myself. My STEP Project involved participating in an international internship sponsored by the Fisher College of Business. I spend the past summer interning with Westpac Bank in Sydney, Australia. My project gave me a broader understanding of both living in a foreign country as well as working in a large corporate setting. Prior to this trip, I had never traveled to another country for an extended period of time. While Australia and the United States share many similarities, I still had to adjust to certain social and professional differences. I was no longer the “majority”, and therefore I had to assimilate to Australian norms. Additionally, by working in a corporate setting, this project gave me an idea of what my work life would be after college. My only prior work experience was working at a small local credit union in my hometown. This trip allowed me to realize that working for a small company that employs less than 100 employees is a completely different experience than working for a large conglomerate that employs 30,000+. My overall transformation began right when I entered the country. I hailed a taxi from the Sydney airport to my apartment and ended up having a great conversation with the taxi driver. At first, I thought I just got lucky with a very friendly driver. I later realized that overall, Australians tend to be more personal, even when it comes to business. For example, business meetings at Westpac always started off with everyone talking about their weekends or what they were doing after work. It would have been rude to launch into the business matter right away. This is much different in the United States, where many times everyone wants to get the meeting over with as soon as possible. My interactions with native college students also gave me a better perspective on Australian culture. I learned that students are encouraged to take gap semesters during college in order to take on long-term internships. In certain majors, such as business, certain colleges actually require you to have a certain amount of work hours before you can graduate. This focus was much more so on practical application than theory. I thought this was much better than the United States. It made me realize how differently students are treated across the world. Finally, my time at Westpac made me realize how political it was to work at a large company. Just learning about the promotion cycles made me realize that sometimes it is the more “popular” employee that is promoted rather than the one who worked the hardest. It also made me realize how you had to plan ahead in order to get work done. Sometimes it would take several weeks for reports to be processed because it had to be approved by several different departments. These are things that you wouldn’t know from just taking business classes. This project allowed me to realize that business is completely globalized. I can’t just assume that during my career, I will only be interacting with other Americans. This project allowed me to gain a better perspective on how culture affects business. When establishing foreign relationships, I now know I need to adjust my actions based on whom I am interacting with. This could be in regards to certain business processes, type of humor, or even just mannerisms. I participated in a Research Internship for my STEP Signature Project. I worked in a research lab in OSU’s Department of Plant Pathology during the summer of 2015 and I am currently still working there today. It might sound a bit cliché, but my experience during the research internship with OSU’s Plant Pathology Department changed my life and I am forever grateful for this opportunity. I learned a lot about myself, and more importantly, I improved as a person as a result of this experience. I really developed a passion for Plant Pathology and research in general. I also learned that when I am doing something that I am passionate about, it does not feel like a chore but instead I am actually enjoying the task at hand. Although I am a Biology major, I did not have a lot of research experience, so this STEP experience helped me to become a better researcher. After my internship, I was also given the opportunity to continue working in the lab and work on my own project over the last year. I have gained so much knowledge about Plant Pathology Research and my experience in this lab has even benefitted me in many of my science courses. This experience has helped me to become a better researcher and more importantly a better student. During my STEP Signature Project, I was required to interact with a lot of persons on a daily basis. I am an introverted person, so initially I was shy and quite hesitant. I had to step out of my comfort zone and be more outgoing. I am so happy that I did, because I met some of the most amazing people, that I am still friends with today! I did not only gain knowledge in research, but I also gained great friends. I think that the most import thing that I gained from this experience was a sense of belonging. Prior to my internship, I was unsure of where I really fit in at OSU. I was involved in multiple student organizations, but in many ways felt out of place. I can honestly say that my experience during this internship has made me feel more at home at OSU. STEP gave me the extra push I needed to go out and do something I am passionate about. The changes that occurred in my life as a result of this experience are valuable because they ultimately helped me grow and improve as a person. Growth is such an important factor in every part of life and I think that it is the best way to combat stagnation. Through this experience I have become a better student, a better researcher and most importantly a better person. It has made such a difference in my life and it is my desire to continue this journey of personal growth, so that I can be the best version of myself. I am so grateful that STEP gave me this opportunity, because without it, I do not think that I would be where I am today. This summer, I was given two fantastic opportunities to work with nonprofits in the Columbus area. I interned at Relā, a leadership development organization that works with the Columbus business community, as well as US Together, a refugee resettlement agency. At the refugee agency, I served as the Women’s Empowerment Program intern. I can say with complete certainty that this summer completely changed the way in which I view the world. This change is primarily due to the fact that I learned more than I ever thought I would. Though my experience with both organizations was significant, I will focus my reflection specifically on my role at US Together. At the beginning of the summer, I did not have a clear picture of what my role at the agency would look like. I knew that I would be working with women, but I didn’t know to what degree my role would be relational or to what degree it would be office work. I was especially looking forward to interacting with the refugee population and really gaining insight into their world. My first day on the job, I was tasked with taking an 11 year old Syrian refugee to the dentist. I left the office to pick the boy up, and I remember my excitement for serving quickly turning into anxiety as I drove around the parking lot of their apartment complex for 15 minutes trying to find their apartment. When I finally arrived, I had to convey to the wary mother that I was trustworthy and was there to take her son to the dentist. Mind you, this family does not speak English and had only arrived in the United States weeks prior. I pulled out my official papers to prove I was someone they could trust, and they both willingly got in my car and rode with me to the dentist (or rather, they rode with me to the wrong address I was given, which happened to be Skully’s Music Diner–we eventually made it to the dentist, though). Fast-forward to two months later, and this family and I have become dear friends. Communicating mostly through Google translate and teaching them English in my free time, we came to understand each other even though we don’t speak the same language. Getting to know this Syrian family completely changed the way I view everything. It is incredibly mind-bending (and there is truly no other word to describe it) to hear the stories of these people on the news, meanwhile I am in their homes, eating their food, and taking their children to the zoo. When I started this summer, I thought I knew a lot about interacting with people who are different from me, but by the end of the summer, I realized that I knew less than I thought and still have much learning to do. This is a beautiful realization as I approach the end of my undergraduate career. When I look back on my years at Ohio State, I sometimes wish that I had taken more classes, had more experiences, etc, but then I am reminded that just because I’m graduating doesn’t in any way mean that I have to stop learning. Speaking of education brings me back to my internship at the refugee agency. One of the main responsibilities of my role was to help facilitate two weekly financial literacy courses for women. The first course was for Arabic speaking women, and the second was for Masalit speaking women (Masalit is a rural tribal language in Sudan). These classes were mainly focused on financial literacy, such as banking, debit cards, and budgeting for their families. In addition to this, however, we were able to use this time with the women to discuss any other issues they were having with their transition to America. I was given the opportunity to not only serve as a makeshift case manager for these women, but I was also given the incredible privilege of assisting them as they did one of the most important things they will ever do for themselves: get their education. Enrolling in these classes is totally optional and completely free, and the tenacity these women have and the courage they possess to move forward with their lives is truly astounding. As an International Development major, we talk frequently about how to solve the problem of global poverty, and everyone would agree that education is important. How to improve education globally, however, is a much larger problem, and there is not simply one framework that would be successful in every country. Thus, to even have a small hand in the sowing of the seeds of education in these women’s lives was a tremendous blessing. Though I wasn’t searching for confirmation, this internship put international issues at the very forefront of my mind. At the same time, however, it showed me the way in which I can have an impact on international issues by assisting and serving those that are right here in Columbus. Refugees are an incredible population, and they aren’t often given the credit for the character trait that most everyone of them possesses: pure and unrestrained tenacity. These people have fought their entire lives against violence, persecution, poverty, war, and many other issues that you and I will never face, and because of that, may never truly come to understand. This internship changed the way I see the world because it simply gave me the opportunity to interact with others who are so very different from me, and the understanding and insight I gained are invaluable to me, both in my personal life and my career. As an International Development major, I want to work for an international agency or nonprofit, and I want to create change that is sustainable. Working with refugees this summer confirmed in me the desire to work on the ground, to interact with the people instead of the policies. Now, I don’t mean to say that I wouldn’t want to be involved with these global issues at the academic and policy levels, but at the same time, it is infinitely important to me to put faces to the news stories we hear on the television. I look forward to graduation, not because it is the end, but because it is the beginning of a lifetime of learning. My experience this summer was truly inspiring, and it made me even more excited for the rest of my career. My STEP Signature Project entailed an introduction to project management while working in the new model development department. I worked at the East Liberty Manufacturing Plant as part of the quality control team that worked as a liaison between the manufacturing and design of the vehicle. The new model vehicles were tested through the department I worked in and I had the opportunity to conducting thermo cycle testing and testing at the TRC (transportation research center). At Honda, I grew to appreciate a different culture than what I was used to. I found that I was seen as mature for my age and going into this internship I did not realize the great diversity that and teamwork that is brought together at work. I assumed that being an engineer was vastly different than what I experienced but it overall was a great learning experience. Not so much a change but definitely a refinement of my time management and work ethic took place over the term. As I went throughout my day, I constantly was reevaluating how I spent my time and prioritizing the important tasks. As an intern, I was given multiple tasks and I was fortunate enough to learn how to manage these projects effectively so that each one was completed successfully. I was fortunate enough to establish many professional relationships with my coworkers while at Honda. What ultimately lead to me growing and learning everyday was my interaction with my mentor and boss. My mentor Adam Aossey graduated from The Ohio State University with a Mechanical Engineering degree and provided valuable guidance and shaped my experience over my term at Honda. Whenever I had a question about what to do next or the correct process of completing a task, Adam was always more than helpful despite having a tremendous workload at Honda. I interacted with Aaron Moore a fair amount over the course of my term as well and I feel I greatly benefited in every interaction. I tried to model how he interacted with the team and how he managed the engineers who worked for him. His time management skills were something I tried to learn more about every day because of how calm and collected he was on a daily basis. This change is very significant in my life as I am sure it will open many future opportunities. This experience definitely helped me refine my leadership abilities and grow as a confident leader as a project manager. Academically, I was able to see how engineering is used in the real world and how engineers that followed the same path that I am taking are working in industry. This experience will help me advance in my career as well as grow as a confident leader as I pursue future interests. Over the summer, I interned in the Wexner Medical Center’s Medical Information Management department. As an intern, I assisted in updating and ensuring the accuracy of medical records through managing the proper assignment of inpatient and outpatient documents. Through this internship, my assumptions about my future career were changed through this internship. Before this experience, I was unsure of what would lie ahead of me with my future and my career path. However, this internship gave me some clarity to the potential fields and career paths that I may lead upon graduation. Prior to this experience, I thought my only option as a Health Information Management and Systems major was coding. However, I learned that coding could be one of the few options for me; and at that, an option for only a few years. With more experience, I will be able to manage the coding team, manage the department. Furthermore, I could work in IT, billing, or reimbursement. The possibilities are endless. This internship allowed me to realize what I want to do upon graduation: work for the healthcare software company EPIC as a consultant. This STEP project allowed me to realize my ideal job after graduation, working for the consulting team at EPIC. However, to explain how my internship led to this transformation, I first need to detail what opportunities this internship gave me, what EPIC is, and how I came to this career path realization. At my internship, I had a variety of duties to perform in the Medical Information Management department. One of my main duties was document imaging. In this, I would scan, mail, and assign a variety of inpatient and outpatient documents to the correct patient and document type. This was especially tricky for outpatient since the document types would look different from physician to physician and hospital to hospital. Documents ranged from echos, EKGs, cardiac monitoring report, cardiac catherizations, stress tests, nuclear medicines, operatives, procedures, ultrasounds, CTs, MRIs, x-rays, physician letters, history and physicals, discharge notes, orders, calipers, telemetries, and the list could go on. I would have to scan in and assign over 400 documents within a 24-hour period of receiving these documents. Once these documents are scanned in, physicians and HIMS professionals can view these documents through the patient’s electronic medical records in EPIC. EPIC is one of the three major healthcare software companies in the United States. As a consultant through EPIC, I would travel throughout the United States and implement this software at other major hospitals and healthcare organizations. In this experience, one of the relationships that I made was with a current manager of a department within the Medical Information Management department. This manager has recently taken a new part-time position with EPIC. She opened my eyes, mentored me through the summer, and introduced me to the wide opportunities and career paths that would lie ahead of me upon graduation. This transformation is significant to my life because it allowed me to have some clarity in my future after graduation. HIMS is a small major that has big potential. Although HIMS students are valuable and often receive many job offerings post graduation, there are often very differing positions and career paths to follow. However, through this internship experience, I was not only given valuable work experience, but also clarity. This internship gave me something valuable: a clear understanding of where I want to take my first couples of steps into my professional career.